There have been numerous false starts in hiring the last few years. 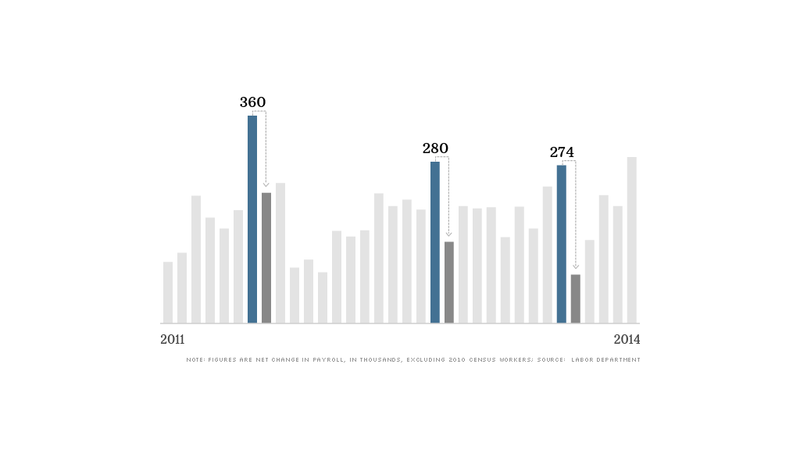 Hiring reached a two-year peak in April. But before you start printing a resume and getting your hopes up, economists are urging caution -- there have been numerous false starts for jobs over the last five years. "We keep waiting for the economy to kick it into higher gear," said Mark Zandi, chief economist with Moody's Analytics. "It feels like that could be happening this time. But I've felt that before and I've been wrong, so I'm hesitant to say that is going to happen now." Part of the April hiring jump could be employers making up for delays caused by lousy winter weather, which has been blamed for much of the near-zero economic growth in the first three months of the year. 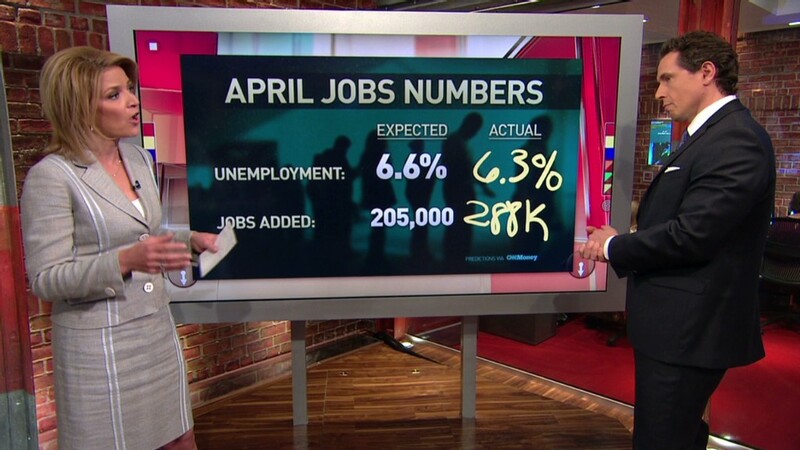 If the economy suddenly started adding 288,000 jobs every month, as it did in April, the sluggish growth we've experienced since the end of the Great Recession would quickly become a thing of the past. But few economists were looking at Friday's report and seeing that kind of robust hiring ahead. One reason for their caution is that there has been a surge in hiring by businesses at least five times since the start of 2010, only to be quickly followed by a sharp drop back to more disappointing levels. The most recent surge before April came last fall, when hiring improved from a 164,000-job gain in September to 274,000 jobs added in November. But the payroll gain retreated to 84,000 in December. Zandi said the hangover of the Great Recession has been a level of uncertainty among employers that has fed into this start-and-stop hiring pattern. "Usually businesses don't care about the macro economy," said Zandi. "They care about their business, and their competitors. That's not the case since the recession." One thing that the fitful pattern of hiring has done is disguise a more steady level of hiring for quite sometime now. Since late 2012, while the monthly hiring numbers have been volatile, the 3-, 6- and 12-month moving average change in payrolls has been unusually steady -- typically between 180,000 to 215,000 jobs added a month. That works out to a healthy -- if not spectacular -- 2 million to 2.5 million jobs a year. "Job creation has been remarkably stable," said Zandi.